but justice, and peace, and joy in the Holy Ghost"
Pentecost is the birthday of the Catholic Church. This glorious event is the focus of the third of the Glorious Scriptural Mysteries of the rosary. This mystery commemorates the Descent of the Holy Spirit upon the apostles. The Apostles were very afraid after Jesus died, but Jesus promised He would never "leave" them. So He sent the third person of the Blessed Trinity, the Holy Spirit, to enlighten them. After the Descent of the Holy Spirit, the Apostles were on fire for the love of God. Quite a spectacular event. Read the Biblical account below and the definition of this Rosary mystery will become clearer. What does it have to do with the life of Jesus? Having a fuller understanding of Pentecost by reading the scripture below will increase your knowlege and love for God and will allow you to spread that love to others thereby bringing serenity to your own life. And they were all filled with the Holy Ghost, and they began to speak with divers tongues, according as the Holy Ghost gave them to speak. Now there were dwelling at Jerusalem, Jews, devout men, out of every nation under heaven. and with thy whole mind." Love of God is the fruit of this mystery. When meditating upon The Descent of the Holy Spirit you should turn your heart and your thoughts to the Holy Spirit. Ask Him to help you know Him better so you may have a deeper love for Him. You can accomplish this by asking for His help and direction more often throughout the day and by trying to be good and Christ-like so He can work better within your soul. If you continue to work on these two goals - asking for help from the Holy Spirit and imitating Jesus, you will find true and lasting peace in your life. The Holy Spirit will guide your actions and your imitation of Jesus will enable you to confidently tackle lives ups and downs. "Let us invoke the Holy Spirit, the Spirit of love, so that He may come to enkindle in our hearts the flame of charity." This quote, taken from Divine Intimacy, perfectly illustrates the fruit of this mystery, namely the love of God. It shows how a relationship with the Holy Spirit will create peace in your life. 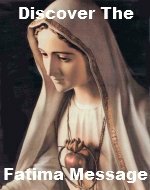 You can visit our Catholic Rosary Shop to find the book Divine Intimacy. 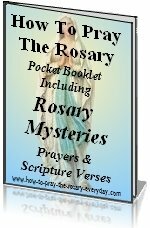 This book perfectly compliments the Rosary and will give you a clearer concept of all the different fruits of the mysteries of the rosary. These Bible passages of the Pentecost-Descent of the Holy Spirit were taken from the timeless Douay-Rheims Catholic Bible. If you are looking for a more modern language version of the Pentecost-Descent of the Holy Spirit, our recommendation would be the St. Ignatius Press Bible.